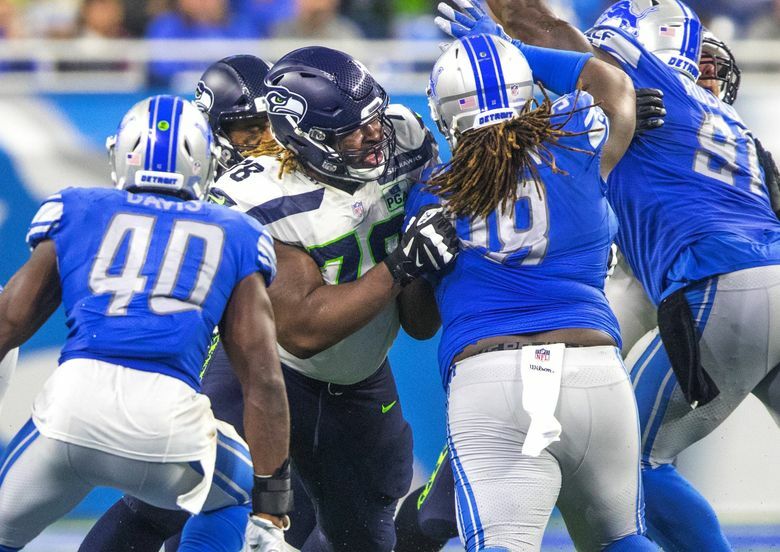 The Seahawks don't figure to get any compensatory draft picks this year after signing five unrestricted free agents who remain with the team last spring. This weekend marks the passing of a somewhat obscure and complicated NFL deadline — the time when teams can cut players they signed as unrestricted free agents last spring and impact the compensatory draft pick formula. The NFL’s comp pick formula awards compensatory draft picks in a future year to teams which suffered a net loss in free agents (the 2019 draft for the free agent class of 2018, in this case). Seattle has long been a big player in the comp pick game, happy to see some aging free agents sign elsewhere to load up on picks, which it has often used as trade bait to get even more picks. The Seahawks, though, are not expected to get any comp picks in 2019 because they signed five unrestricted free agents who remain with the team while losing four. This only changes if they cut a few of the UFAs they signed by the deadline this weekend. Seattle currently has only four 2019 draft picks due to other trades (Duane Brown, Brett Hundley, Shalom Luani). That leads some to wonder if the Seahawks might consider cutting some of their qualifying UFAs (LB Barkevious Mingo, TE Ed Dickson, DL Shamar Stephen, WR Jaron Brown and OL D.J. Fluker) to gain a comp pick. As detailed by Nick Korte of OvertheCap.com, Seattle could conceivably receive a fourth-round comp pick if it cut two of those players by this weekend (the 10th week set as the deadline). That obviously seems unlikely at this point, with all of those players factoring heavily into the team’s plans, and the roster for this week already appearing to be set. But technically, it could still happen. All of which makes it a good time to review the free agents the Seahawks signed and those they lost. We will examine only the players who factor into the formula, which is only players who became UFAs because their contracts ran out, not those who were waived (as was Richard Sherman). Traded players (such as Michael Bennett) don’t factor in. Players signed after the second Tuesday after the draft also don’t count (yep, this can get complicated. OvertheCap.com has a good primer on the basics here). TIGHT END JIMMY GRAHAM (signed three-year, $30 million deal with Packers with $11 million guaranteed). Graham is having a decent season with the Packers but not one that indicates he was — as many fans argued — criminally misused by Seattle. (Maybe, instead, he was just a perfect fit for New Orleans’ system, when he was also in his prime and before suffering a significant knee injury). Graham is on pace for 64 receptions for 850 yards and four touchdowns — he had 10 TDs last year with the Seahawks and in his best Seattle season in 2016, had 65 receptions for 923 yards and six touchdowns. Graham also is currently dealing with a knee injury, though he is expected to play this week, which indicates that barring any setback, he will play next against the Seahawks next Thursday in Seattle. TIGHT END LUKE WILLSON (Lions, signed one-year deal worth $2.5 million with $1.4 million guaranteed). Willson has 11 receptions for 75 yards and no touchdowns, an average of just 6.8 yards per catch that is far off the 12.7 he averaged in Seattle. During his Seahawks career, Willson also averaged 2.2 touchdowns per season, with a high of four in 2017. Given that Seattle’s tight end play has been pretty good, especially when considering what Will Dissly did early, it’s hard to make the case Seattle went wrong not re-signing either Graham or Willson, especially considering what Graham received. WIDE RECEIVER PAUL RICHARDSON (signed five-year, $40 million deal with Washington with $16.5 million guaranteed). Richardson suffered a season-ending injury to the AC joint in his shoulder last week. Until then, he was having a season on pace to be pretty similar to his last year in Seattle — he had 20 receptions for 262 yards and two touchdowns (he had 44 catches for 703 yards and six TDs in 2017 with the Seahawks). Richardson’s injury history undoubtedly factored into Seattle’s decision not to match Washington’s offer — that the Seahawks signed Tyler Lockett to an extension before this season also shows that Seattle picked Lockett over Richardson since there was no way the Seahawks could keep both. The emergence of David Moore also has helped mitigate the loss of Richardson. DEFENSIVE TACKLE T SHELDON RICHARDSON (signed one-year, $8 million contract with Minnesota). Richardson has played well for the Vikings, starting all nine games with 1.5 sacks, 12 QB hits and 30 tackles (he had one, seven and 44, respectively, last year for Seattle) and spending much of the season rated as Minnesota’s best defensive player by Pro Football Focus. Seattle has gotten decent play up the middle and the Seahawks also anticipated having Tom Johnson to help replace him. (Then, Seattle cut Johnson after Week 1 expecting him to re-sign. Unfortunately, Johnson re-joined the Vikings). But hey, Richardson will be a free agent again in March and maybe Seattle can get him back! TIGHT END ED DICKSON (signed three-year, $10.7 million deal with $3.6 million guaranteed). Dickson has played in just two games after suffering a quad injury in the offseason. But he showed big-play potential two weeks ago against Detroit before going without a catch against the Chargers. Should be a big part of offense going forward. RIGHT GUARD D.J. FLUKER (signed one-year deal worth $1.5 million with $300,000 guaranteed). Fluker may be the biggest bargain on this year’s team. His inclusion in the starting lineup in Week 3 coincided with the team’s run game resurgence. But Fluker, who missed 11 games over the previous three seasons, is now battling a calf injury after already missing two games with a hamstring issue. Seattle needs him healthy. WIDE RECEIVER JARON BROWN (signed two-year deal worth $5.5 million with $2.7 million guaranteed). The Seahawks might have anticipated Brown being their third receiver when he signed, a role now held by Moore. But he’s made some big plays with three TDs and also has been a regular on special teams. DEFENSIVE TACKLE SHAMAR STEPHEN (signed one-year deal worth $2.1 million with $1 million guaranteed). For the money, Stephen has been good enough, playing at least 19 snaps in every game and 26 in all but one, largely on run downs. For what it’s worth, Pro Football Focus rates him 96th among all defensive tackles this season. LINEBACKER BARKEVIOUS MINGO (signed to a two-year, $6.8 million deal with $3.2 million guaranteed). Given his reputation as something of a first-round bust with the Browns, Mingo has been a revelation in Seattle, starting every game and playing some weakside linebacker in a couple. He also has the most special teams snaps, 182, with coach Pete Carroll saying this week he has been Seattle’s best special teamer. So have the gains equaled the losses? Would Seattle be 4-4 right now anyway? Probably. The larger question, one that will take a few years to answer, is whether Seattle would have been better off signing a couple fewer free agents and getting a comp pick or two and playing for the future. But as the Seahawks have said from the start, this season was about retooling and not rebuilding. There are eight games left to prove the worth of that strategy.